↑ "World Malaria Report 2011 summary" (PDF). World Health Organization. ↑ "The Nobel Prize in Physiology or Medicine 1907: Alphonse Laveran". The Nobel Foundation. Retrieved 2012-05-14. ↑ Valkiūnas G (2005). 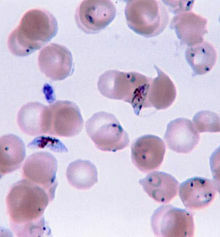 Avian Malaria Parasites and Other Haemosporidia. CRC Press. p. 589. ISBN 978-0-415-30097-1. 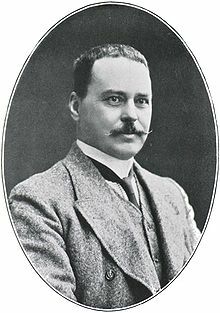 ↑ "The Nobel Prize in Physiology or Medicine 1902: Ronald Ross". The Nobel Foundation. Retrieved 2012-05-14. ↑ "Ross and the Discovery that Mosquitoes Transmit Malaria Parasites". CDC Malaria website. Archived from the original on 2007-06-02. Retrieved 2012-06-14. ↑ "Malaria symptoms". WebMD. April 20, 2011. Retrieved 2012-05-09. ↑ Collins WE (2012). 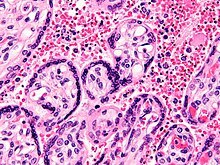 "Plasmodium knowlesi: a malaria parasite of monkeys and humans". Annual Review of Entomology. 57: 107–21. doi:10.1146/annurev-ento-121510-133540. PMID 22149265. Packard RM (2007). The Making of a Tropical Disease: A Short History of Malaria. Johns Hopkins Biographies of Disease. JHU Press. ISBN 978-0-8018-8712-3.